Ushuaia prison was built in 1902 to confine Argentina’s most dangerous criminals and political prisoners. 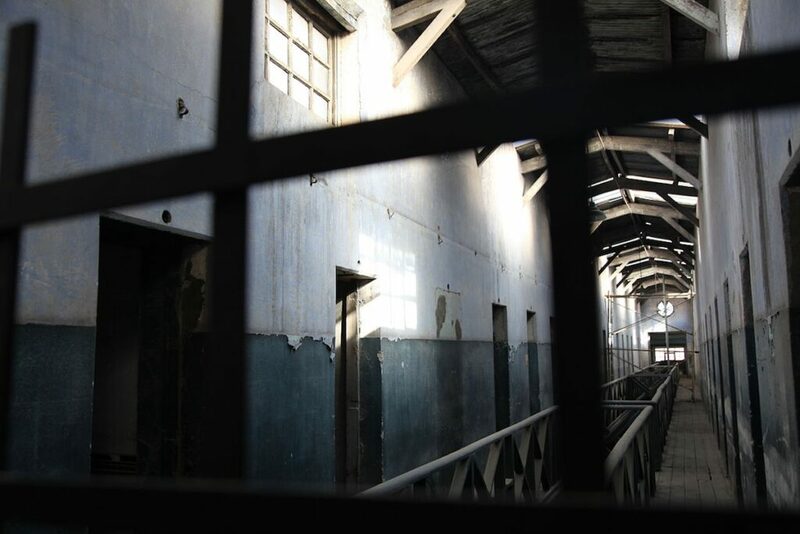 Known as the Alcatraz of Argentina, the prison housed 600 convicts from all over the country, who were forced into manual labour, and whose work became integral to the building of the city; constructing local houses and supplying the town with firewood, bread and electrical power. After a period of restoration since the prison’s closure in 1947, the building has reopened as a museum. 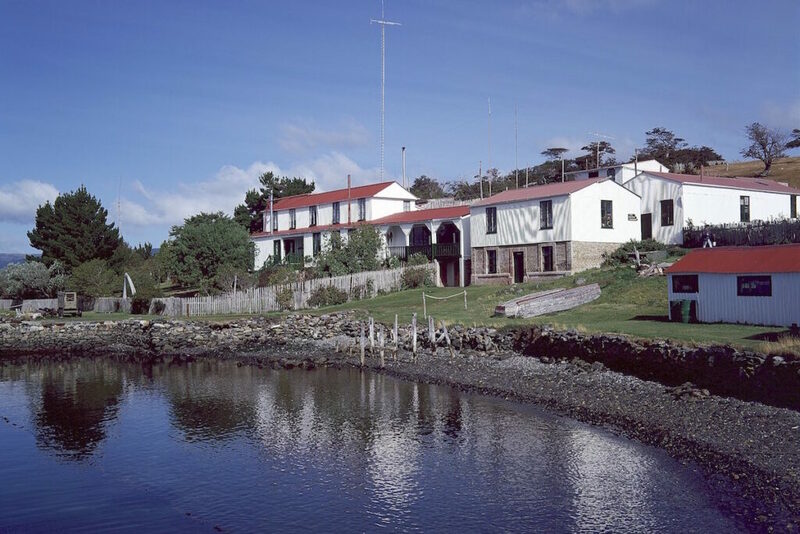 Visitors can see the original cells, just as they were left with memorabilia from the final prisoners, look through a detailed photographic exhibition and hear fascinating stories from local guides, such as when a group of escapees begged to be let back in after struggling through the harsh Patagonian wilderness beyond the prison walls. Among numerous workshops at the prison were a shoe repair, tailors, carpenters, bakery and pharmacy, all of which can be explored on a visit. Along with the prison museum, the building also houses the Maritime museum, Antarctic museum and Marine Art gallery, which are well worth a perusal. Discover the traditions of the indigenous Yamana tribe of southern Patagonia, whose territory covered the islands south of the Isla de Tierra del Fuego and Cape Horn. 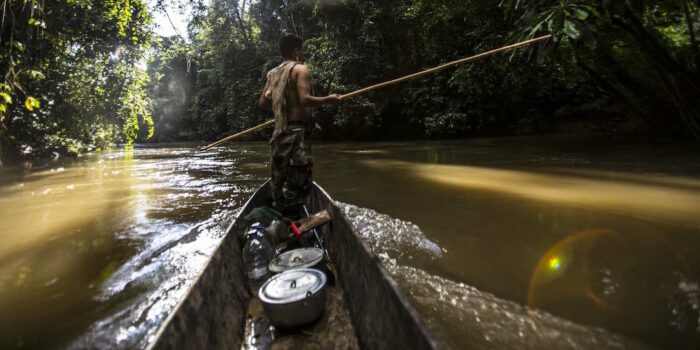 The Yamana people lived in canoes and wore little or no clothing, using sealion grease for insulation against the cold weather. Men would hunt for sealions using harpoons and women would dive for shellfish, building small fires on their canoes for cooking. Having died out over the years, there is only one pure blood Yamana woman left, who still speaks the tribe’s native language – Cristina Calderon is in her 80’s and now lives in Puerto Williams in Chilean Patagonia. Local guides share stories of the tribe’s contact with maritime explorers in the early 1800’s. Particularly fascinating is the story of Robert Fitzroy, captain of the HMS Beagle, who took a number of ‘Fuegians’ hostage, decided to ‘civilise’ them and presented them at court in London on his return home. Estancia Harberton is one of Patagonia’s most famous farms with a unique history. Located on a rugged peninsula on the Beagle channel is the original 1886 farm house, which belonged to Anglican missionary, Thomas Bridges, who built the house in Devon before shipping it to Patagonia to be reconstructed identically. Bridges brought the first ever car to Patagonia and was known for creating a dictionary of the Yamana Tribe’s native language. The estancia’s original buildings have been left unchanged and are now a museum to show what life would be have been like in Patagonia in the late 19th Century. The estancia was the first productive enterprise in Tierra del Fuego and to this day still exports leather and wool. Explore the estancia with a local guide to discover fascinating stories of the Bridges family’s life in Patagonia through the generations. 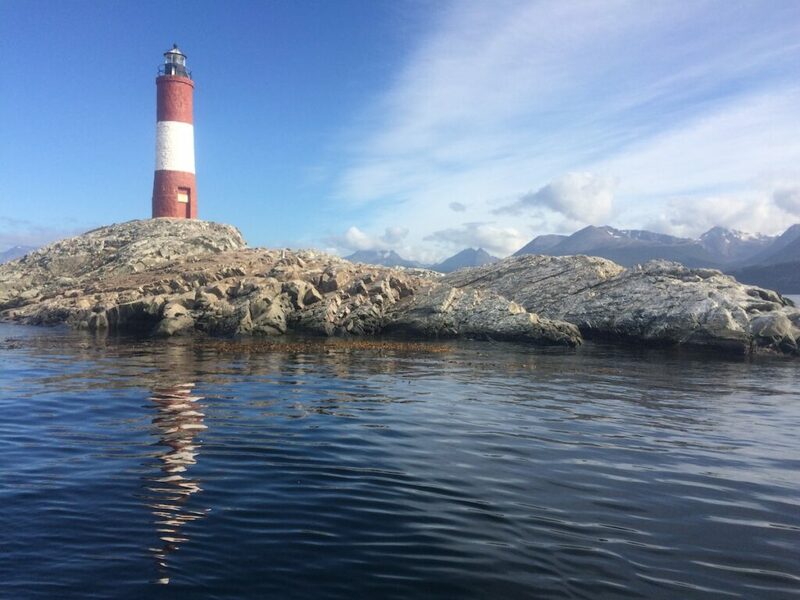 In the early 20th Century when the Argentine government tried to persuade people to live in Ushuaia to look after the land, it used some unusual incentives, as few people could be tempted to move to a vast, empty wilderness, so far from civilisation! 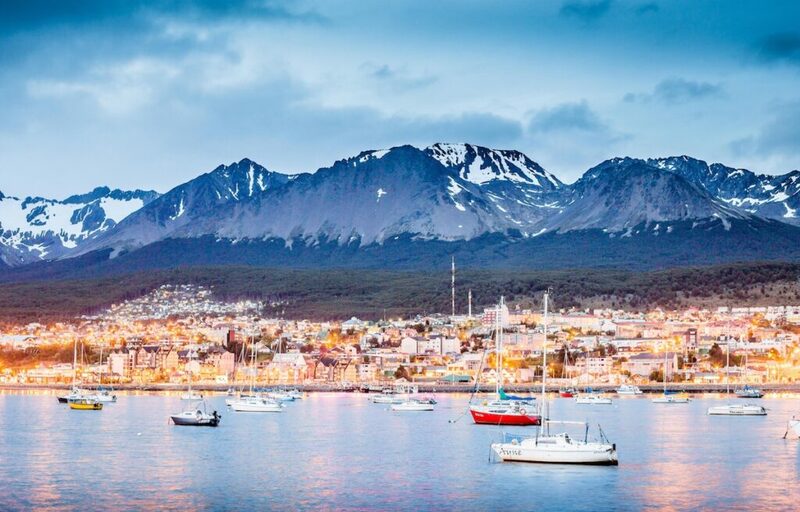 Ushuaia was declared a tax-free zone, which encouraged trade, and early retirement was offered to anyone who could prove they had spent 25 winters there! 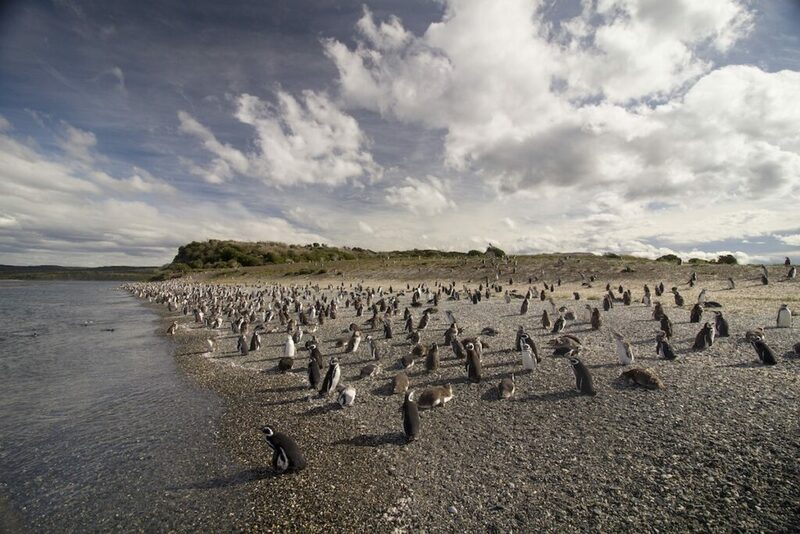 Los Cauquenes is a boutique hotel just outside Ushuaia, immersed in nature. Constructed with local wood in the style of a mountain chalet, Los Cauquenes provides luxury accommodation on the doorstep to some of Patagonia’s most exciting nature and adventure trails. Staff here are warm and welcoming and the hotel feels typically Patagonian. 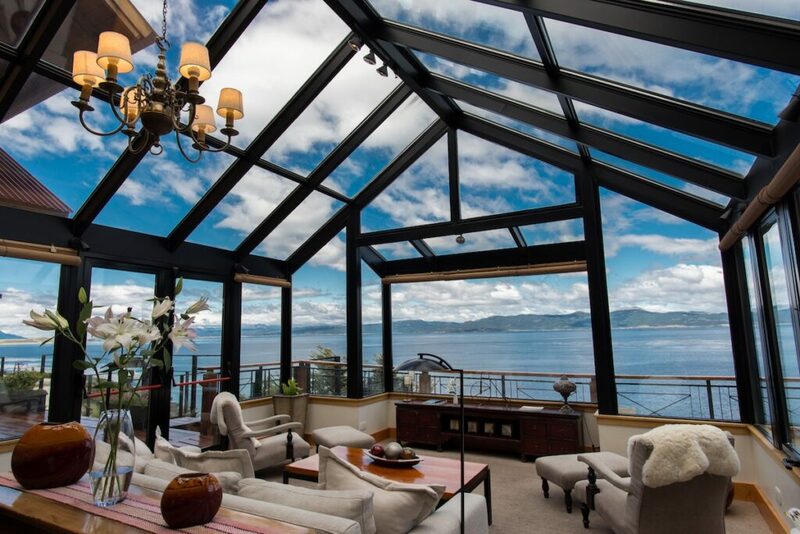 All rooms enjoy stunning views, the best of which overlook the Beagle Channel, and top suites feature wide terraces. The outdoor area is beautifully designed, with heated and wind-protected platforms allowing guests to sit out and enjoy the view, whatever the weather. Tea time is a popular affair, particularly after a strenuous trek, and in the evenings, the hotel atmosphere is wonderfully cosy, with fires lit throughout the property. Reinamora restaurant spoils guests with sheepskin chairs, locally sourced food and a fabulous wine list. 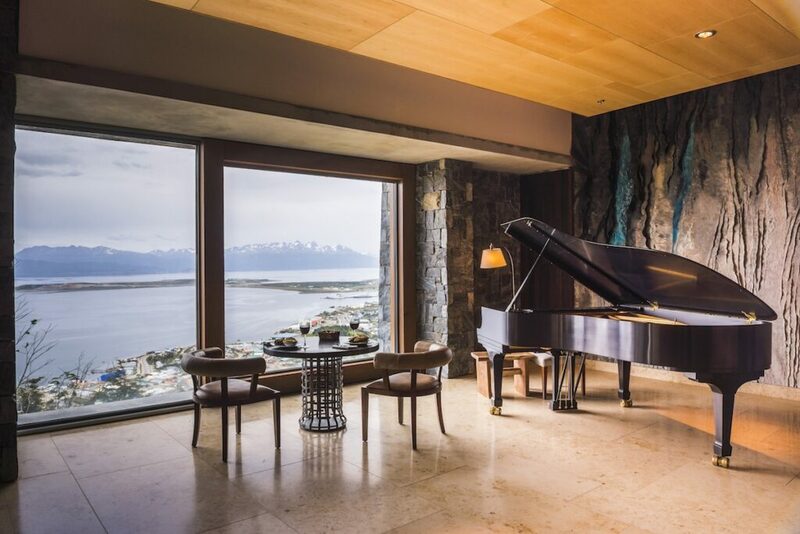 Arakur is a large, modern hotel with an incredible vantage point overlooking the Beagle Channel, and is ideally located near the port for embarking on an Antarctic cruise or Patagonian fjord cruise. 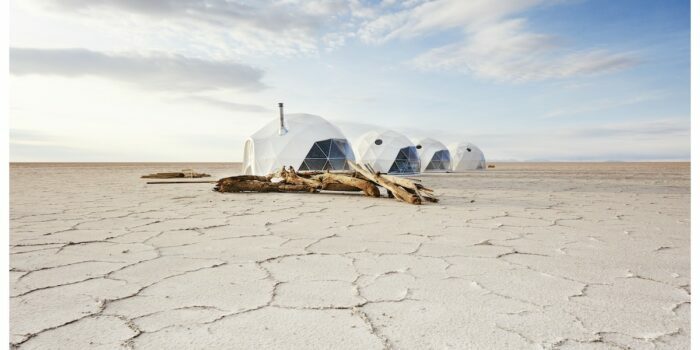 Rooms are vast, contemporary and luxurious, providing a very comfortable stay for those travelling to ‘the end of the world’. Outdoor hot tubs are a particularly popular hotel feature, boasting panoramic views over the Beagle Channel, Ushuaia city and mountains beyond. 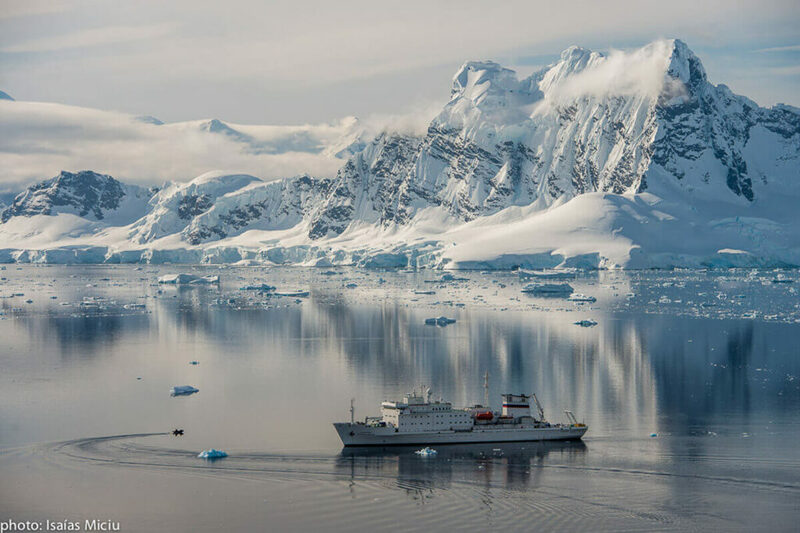 Most Antarctic cruises depart from Ushuaia, where a minimum of one night in the city, both before and after a cruise, is required due to flight times and weather conditions (flight and cruise arrival and departure times are subject to change at the last minute).